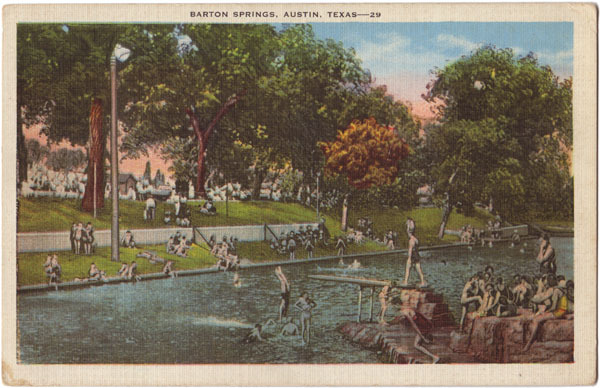 Text on Back: The Springs flow 20,000,000 gallons crystal-clear, cold water daily. A refugein the summer. Pool is one of the largest in the south, line with concrete, and with a gravel bottom, shaded with large pecan trees. Adjoins Zilker Park which has an area of 340 acres. Amusement devices. Bath house and dance pavillion.